Outrigger Hotels & Resorts has agreed to sell its 37-property portfolio to Denver-based KSL Capital Partners LLC for an undisclosed amount, the Honolulu Star-Advertiser reported. The transaction is expected to close within the next 60 to 90 days. It's anticipated that the company will keep its current name and remain headquartered in Waikiki. David P. Carey will also remain on as Outrigger's president and CEO. "It’s my intention to stay here. I’m not done yet. I’ve got runway left and I’d like to do some successful things. I’m excited," Carey told the Star-Advertiser. According to Carey, the agreement was reached under the condition that the company’s 4,500 employees be protected "for the foreseeable future." "They stay in place with their benefits and pay," he added. In a statement, Carey said "KSL has the capital capacity to elevate Outrigger to the next level – infusing additional resources into our current assets and helping to accelerate our long-term growth goals." Outrigger has been owned and operated by the Kelley family for the past seven decades since Roy and Estelle Kelley founded the Honolulu-based hotel chain back in 1947. 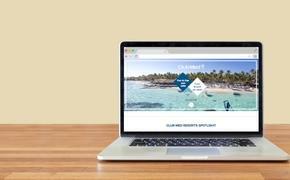 The company currently operates more than three dozen hotels, condominiums and vacation resort properties comprising roughly 6,500 rooms in Hawaii, Guam, Fiji, Thailand, Mauritius and the Maldives. "Our family is humbled to have had the privilege of leading this company for nearly 70 years and to have worked with some of the best in the industry," said Outrigger Enterprises Group board chairman Dr. Charles Kelley in a statement. "We have a responsibility to make strategic decisions today that put our company on the best path for future success; we are confident that KSL will make Outrigger more resilient in today’s global hospitality market." Kelley and other family members are unlikely to be involved in the hotel business moving forward, Carey told the Star-Advertiser.